We can build vertical or horizontal paling fences. A Paling fence is the perfect addition to any residential boundary and can be custom built to the required length and height. 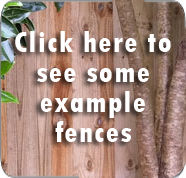 Auckland Fences has many years’ experience as designers and builders of high-quality cost-effective wooden paling fences. We cover all of Auckland, including the North Shore, West Auckland, Waitakere and South Auckland.